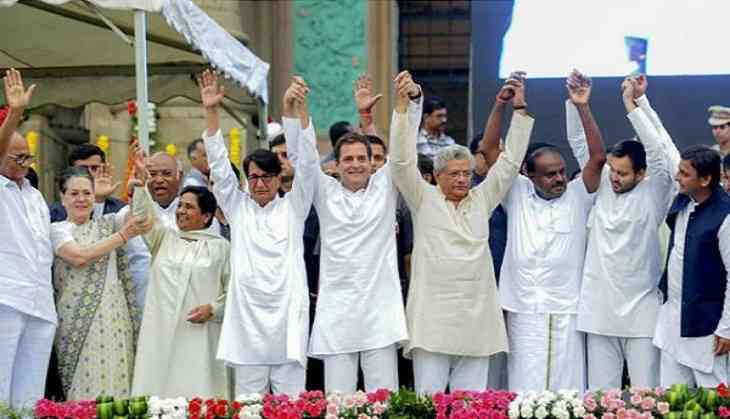 The Bihar unit of CPI on Saturday told Mahagathbandhan leaders that it will not accept anything less than three-four Lok Sabha seats under the seat-sharing formula for the upcoming general elections in the state. It also stressed that the seat distribution process should be worked out within a week. CPI's Bihar unit secretary, Satya Narain Singh said categorically that the party will fight Begusarai seat, irrespective of whether or not it forms part of the mahagathbandhan comprising RJD, Congress, RLSP, HAM(S), Mukesh Sahni Vikassheel Insan Party (VIP). Bihar has a total 40 Lok Sabha seats. Mr Singh said that the party has already taken a decision to field Kanhaiya Kumar,the former Jawaharlal Nehru University Students Union president, from the Begusarai Lok Sabha seat. We are of the view that there should be alliance among left democratic secular forces in order to defeat the BJP which is trying its level best to harp on the peoples sentiments in the aftermath of Pulwama terror attack, Mr Singh told reporters in Patna at the party office. We are of the firm view that if the alliance is sealed among left democratic secular forces in Bihar, we will defeat BJP convincingly but for that, there should be alliance among these forces and the issue of seat-sharing must be decided at the earliest preferably within a week, he added. The Bihar unit of CPI has identified six seats- Begusarai, Khagaria, Madhubani, Banka, Motihari and Gaya (SC)- which it wants to contest in the coming Lok Sabha polls, the party's state secretary said. He, however, said that the party may decide to forego one or two seats in favour of greater alliance but we will not at all accept one Lok Sabha seat (Begusarai) which is being discussed in the media, as it is not honourable seat sharing arrangement. Party's senior leader and Rajya Sabha member D Raja, who met RJD chief Lalu Prasad about a month ago in RIMS in Ranchi, made it clear to him (Prasad) that CPI will be contesting at least four Lok Sabha seats in Bihar, he said. In the past, the party has won Begusarai seat nine times, Madhubani seven terms while Motihari on five occasions, he said adding that the party has not staked its claim on seats like Jehanabad and Patna which it has won seven and three times respectively in the past. Interestingly, CPI(ML-Liberation), which also want to be the part of the mahagathbandhan, has also sought six LS seats for itself while giving ample hint that it was not rigid on the numbers provided it is offered a respectful number of seats. Stating that CPI held a very impress rally at Gandhi Maidan on October 25, 2018, he said that Congress party is demanding 11-15 seats despite its February 3, 2019 rally at Gandhi Maidan "which was not impressive one". We had organized a bigger rally than the Congress at Gandhi Maidan. Our mass base is much more bigger and stronger than Congress in each and every Lok Sabha constituency but despite all these facts Congress is claiming 11-15 seats, Singh said. The CPI leader said I can understand that they (RJD) may be giving Congress more seats due to several reasons, but our genuine demand should also be looked into.